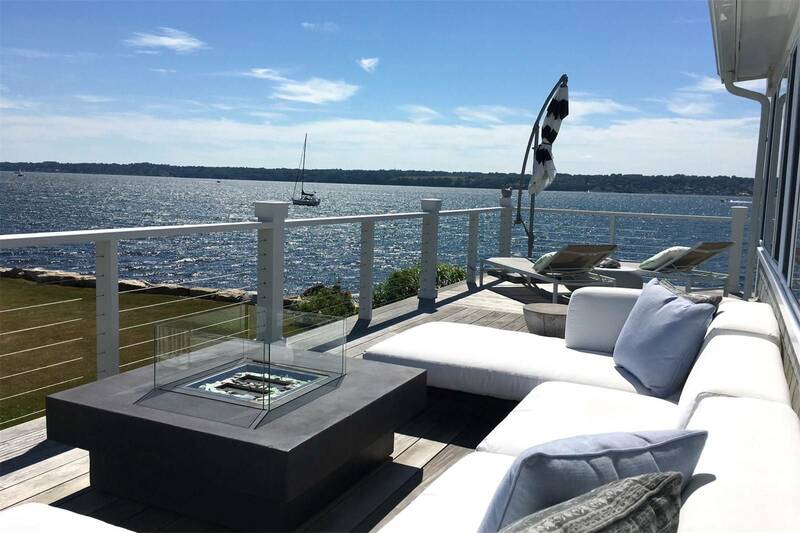 Stunning waterfront coastal residence in the charming Southern Tiverton area, offering panoramic unobstructed water views and direct water access for the water enthusiast. Perfect location for stunning sunsets and all water sports including swimming, boating, sailing, paddle boarding, and of course kayaking. Thoughtfully designed with coastal touches and a view from nearly every room. Complete state-of-the-art renovation including wrap-around Ipe deck, steel cable railings, circular seashell driveway, new septic system, new roof, and windows. Turn-key property for your summer retreat.